Today I'm featuring A Touch of Stardust by Kate Alcott, borrowed from the library. Atlanta was exploding right on schedule. Small darting figures danced across the lot, lighting fuses, jumping back. A single column of flame roared toward the night sky, joined by another and then another. Bits of blazing debris broke free and floated upward. Houses, barns, wagons--everything ignited like parched underbrush. Page 56: "Carole, in high spirits, was bubbling over with things to do in the wake of Clark's news." My thoughts: The opening paragraphs of the book describe the creation of the famous scene from Gone with the Wind. I still remember how frightening it was to watch that fire on the big screen many years ago. 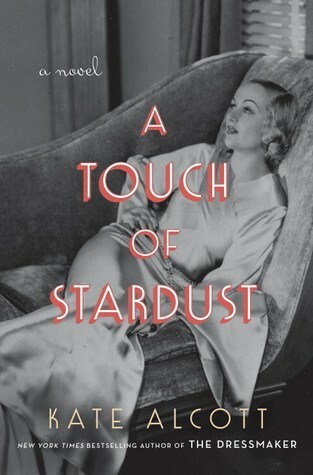 A Touch of Stardust is a fascinating behind-the-scenes look at the making of the film, the relationship between Carole Lombard and Clark Gable, and the young hopefuls drawn to glamorous Hollywood in the time of morality clauses. From Goodreads: When Julie Crawford leaves Fort Wayne, Indiana for Hollywood, she never imagines she'll cross paths with Carole Lombard, the dazzling actress from Julie's provincial Midwestern hometown. Although the young woman has dreams of becoming a screenwriter, the only job Julie's able to find is one in the studio publicity office of the notoriously demanding producer David O. Selznick —who is busy burning through directors, writers and money as he begins filming Gone with the Wind. Although tensions run high on the set, Julie finds she can step onto the back lot, take in the smell of smoky gunpowder and the soft rustle of hoop skirts, and feel the magical world of Gone with the Wind come to life. Julie's access to real-life magic comes when Carole Lombard hires her as an assistant and invites her into the glamorous world Carole shares with Clark Gable—who is about to move into movie history as the dashing Rhett Butler. Carole Lombard, happily profane and uninhibited, makes no secret of her relationship with Gable, which poses something of a problem for the studio as Gable is technically still married—and the last thing the film needs is more negative publicity. Julie is there to fend off the overly curious reporters, hoping to prevent details about the affair from slipping out. But she can barely keep up with her blonde employer, let alone control what comes out of Carole's mouth, and--as their friendship grows - soon finds she doesn't want to. Carole, both wise and funny, becomes Julie's model for breaking free of the past. In the ever-widening scope of this story, Julie is given a front-row seat to not one but two of the greatest love affairs of all time: the undeniable on-screen chemistry between Scarlett and Rhett, and off screen, the deepening love between Carole and Clark. Yet beneath the shiny façade, things in Hollywood are never quite what they seem, and Julie must learn to balance career aspirations and her own budding romance with outsized personalities and the overheated drama on set. 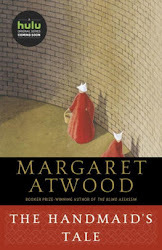 Friday Focus: The Friday 56 & Book Beginnings was originally published by Catherine for bookclublibrarian.com. This post cannot be republished without attribution. Retweeting and sharing on Google+ are appreciated.